Crazy Shee's Blog – where poetry goes to die. where poetry goes to die. 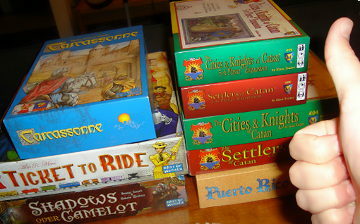 I’m a total nerd for board games. I don’t know why, but there’s just something about the sheer lack of electronics or batteries that go with folding out a thick cardboard playing surface and spending time setting things up – everything from the card and playing pieces to getting the snacks and drinks ready – this is a social occasion after all! There’s an anticipation about the whole thing. It’s also just great fun! The other type of social game I like is playing the lottery. Not quite as nerdy (come on, I know you all play it too! ), but it can be social experience too. Particularly if engage in the nerdy side of lottery systems, analysing numbers and all that stuff – you can while away the hours in many a forum geeking out on this stuff. Not everyone can find enough people to make up a decent sized syndicate, but there online options for you folks too – check out the Lottery Syndicate Reviews site as one place that lists some options. It won’t have quite the social aspect but it’s still a fun way to play the lottery, and with a better chance of winning that big prize too of course. One of my favourite games to play is the big European game played across 9 countries. People outside Europe don’t know it so well, but it’s called EuroMillions. The jackpot on this one can get seriously big, but the chances of winning are pretty tough. Which is why I mostly use a syndicate to play it. This game works a bit differently to a lot of lottery games (partly because of the fact it’s run by 9 countries!) but also because it has 2 extra balls, plus some add-on games in different countries. If you get confused you can get answers to most EuroMillions questions here. The only thing I don’t like so much about this game is that quite often really big prizes (hundreds of millions) end up going to just one winner. That’s another reason I like syndicates – if we win, then about 50 people won’t be going back to work on Monday morning! That’s much better don’t you think? Are you old enough (and nerdy enough) to remember this game? I can tell you that I am. I owned this. And we played it till we started wearing out the cardboard game pieces. This piece of strategy superbness came from the geniuses that were Avalon Hill games. It was all about beating the heck out of Orcs, ducking the dragon and generally capturing the map. It was a bit like Risk. But I’d not even played Risk then and thought it was the best game ever invented. I remember it being expensive, far more than other board games, but the box was heavy and felt like it was worth the money you were paying. 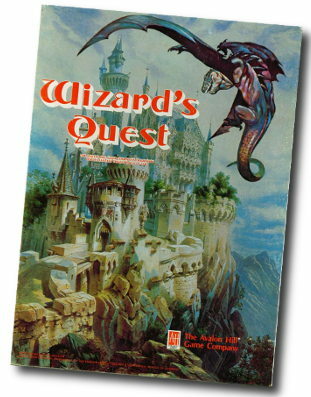 It seems funny now that at least a few of the titles created by Avalon Hill as board games got remade as computer games too. Ah, the good old days. 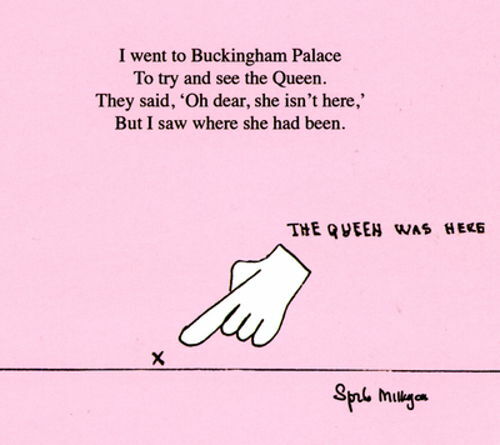 I love Spike Milligans mad style of poetry. At the very least he makes me smile every time, but more often than not he has that ability to shoot tea out of my nose.